The long geological isolation of the Socotra archipelago and its fierce heat and drought have combined to create a unique and spectacular endemic flora. 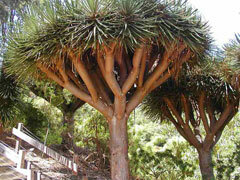 Surveys have revealed that more than a third of the 800 or so plant species of Socotra are found nowhere else. 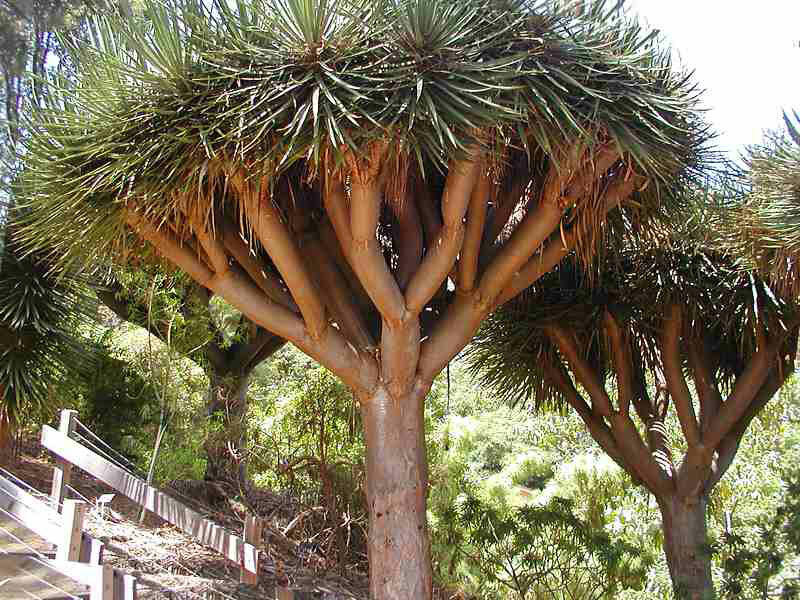 Botanists rank the flora of Socotra among the ten most endangered island flora in the world. The archipelago is a site of global importance for biodiversity conservation and a possible center for ecotourism. One of the most striking of Socotra's plants is the dragon's blood tree (Dracaena cinnabari), which is a strange-looking, umbrella-shaped tree. Its red sap was the dragon's blood of the ancients, sought after as a medicine and a dye. Another unusual plant is Dorstenia gigas. 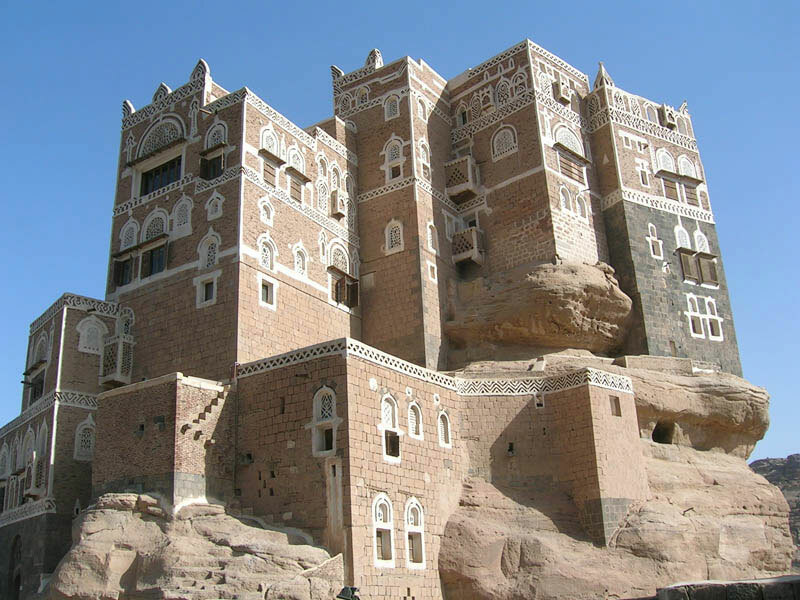 Capital of Yemen, lies in the heart of Yemeni highlands on a plateau at an altitude of 2200m surrounded by several mountains. Extreme recorded temperatures are -3.0ºC and +34.4ºC. The city enjoys a fair weather during the months of March and April and then in late summer where afternoon showers are common. The old, fortified city has been inhabited for more than 2500 years and contains a wealth of intact architectural gems. It was declared a World Heritage City by the United Nations in 1984. Efforts are underway to preserve some of the oldest buildings, some of which are over 400 years old. Surrounded by ancient clay walls which stand six to nine meters (20-30ft) high, the old city boasts over 100 mosques, minarets, luxuriant gardens 12 hammams (baths) and 6500 houses. Many of the houses look rather like ancient skyscrapers – reaching several stories high and topped with flat roofs, they are decorated with elaborate friezes and intricately carved frames and stained glass windows. One of the most popular attractions is Suq al-Milh (Salt Market), where it is possible to buy not only salt but also bread, raisins, cotton, copper, pottery, silverware, antiques, and a host of other goods. 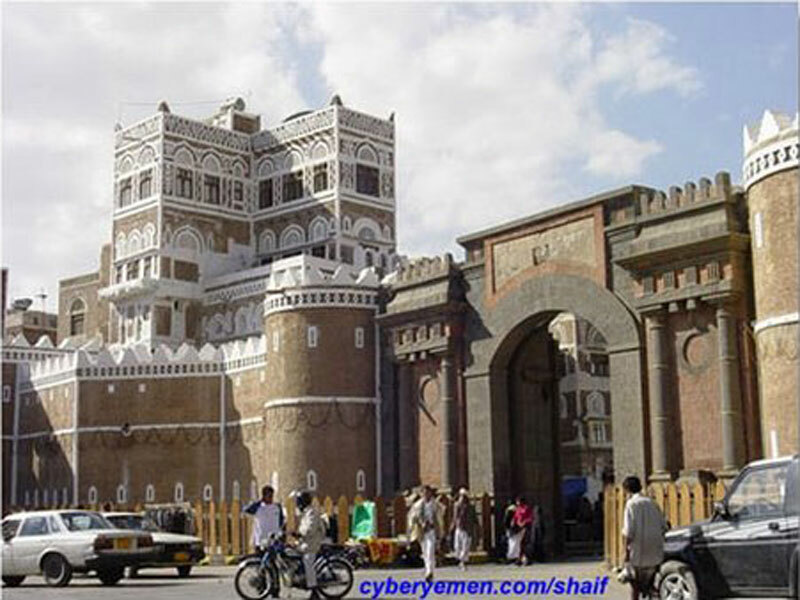 Bāb al-Yaman "Yemen Gate" is an iconized entry point through the city walls and is over 700 years old. Shibam is a town in Hadramawt, Yemen. 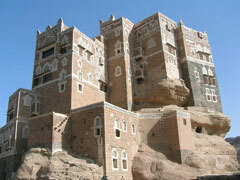 It has been the capital of the Hadramawt Kingdom for several periods of time. 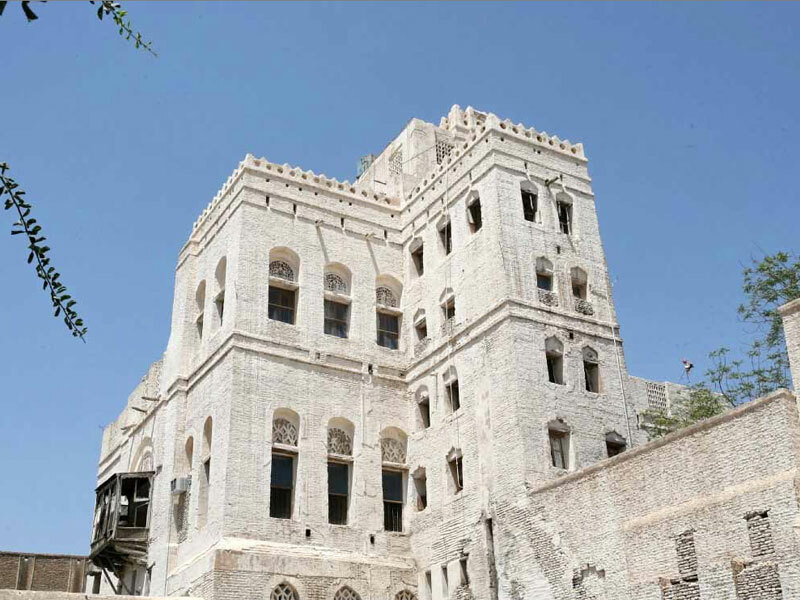 Shibam owes its fame to its distinct architecture, which now is on UNESCOs program to safeguard the human cultural heritage. The houses of Shibam are all made out of mud bricks, but still there are about 500 tower houses, rising 5 to 9 stories high. 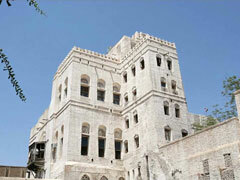 While Shibam has existed for around 2,000 years, most of the city's houses come mainly from the 16th century. Shibam is often called "the oldest skyscraper-city in the world", or "Manhattan of the desert". 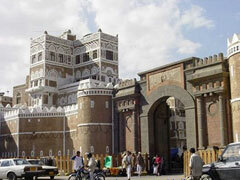 Zabid (also spelled Zebid) is a town Yemen's western coastal plain. The town, named after Wadi Zabid the wadi to its south, is one of the oldest towns in Yemen, it was the capital of Yemen from the 13th to the 15th century and a center of the Arab and Muslim world due in large part to its famed University of Zabid and being a center of Islamic education. It was the capital of the Ziyadid dynasty from 819–1018 and the Najahid dynasty from 1022–1158. Zabid has been declared a World Heritage Site by the UNESCO. Its Great Mosque occupies a prominent place in the town. The vestiges of its university can also be visited. The government of Japan had extended a cultural grant to the General Organization for Antiquities, Museums and Manuscripts for the purchase of equipment enabling Zabid Historical Museum in Zabid citadel to preserve and display the cultural heritage.